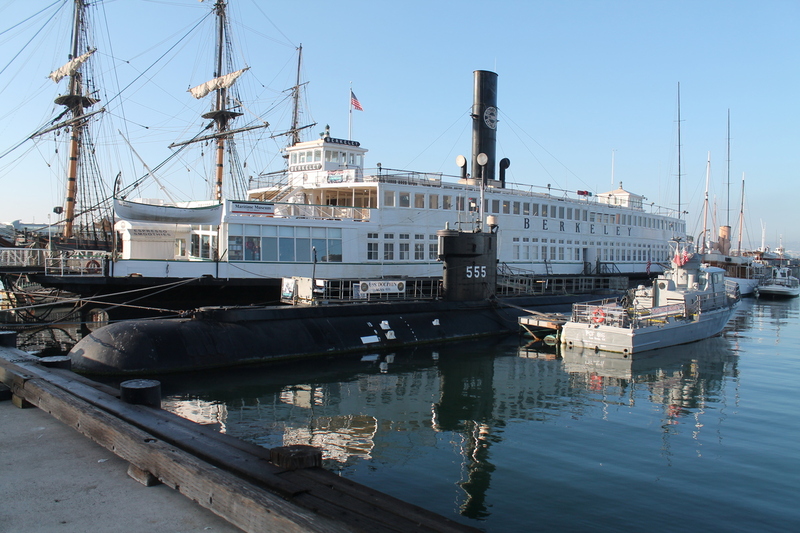 On Friday and Saturday this week, Lucinda and I went to San Diego to visit my father. He was sick for a while recently, and it’s only in the last month that he’s been feeling better. Since it’s a holiday weekend, the only Residence Inn that had suites available was the one in downtown San Diego. So we stayed there on Friday night, and on Saturday morning, I went out for a little sightseeing walk. 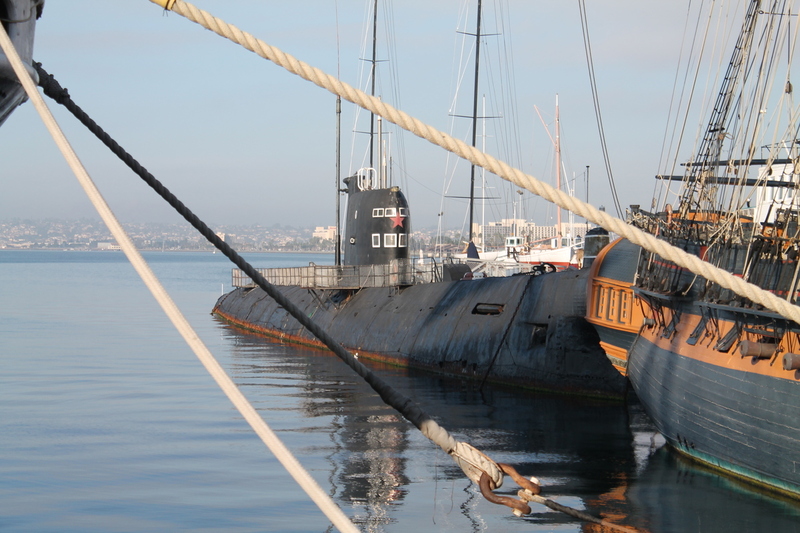 I’d seen the Star of India there before, but I hadn’t realized that it’s part of a larger maritime museum, and that they have both a Russian and a U.S. submarine on display there. 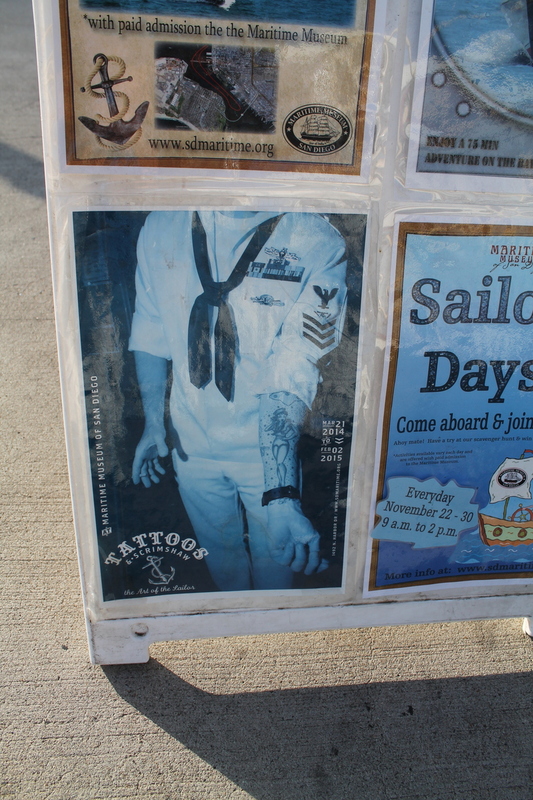 All that, and an exhibit about sailors and tattoos. I think we will have to go there the next time we go. 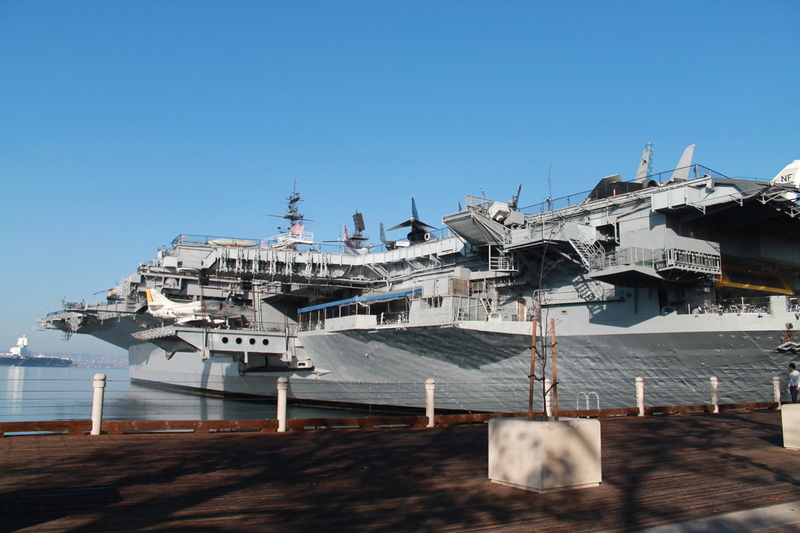 A little farther down, I passed the Midway Museum. We went to see that some years ago. 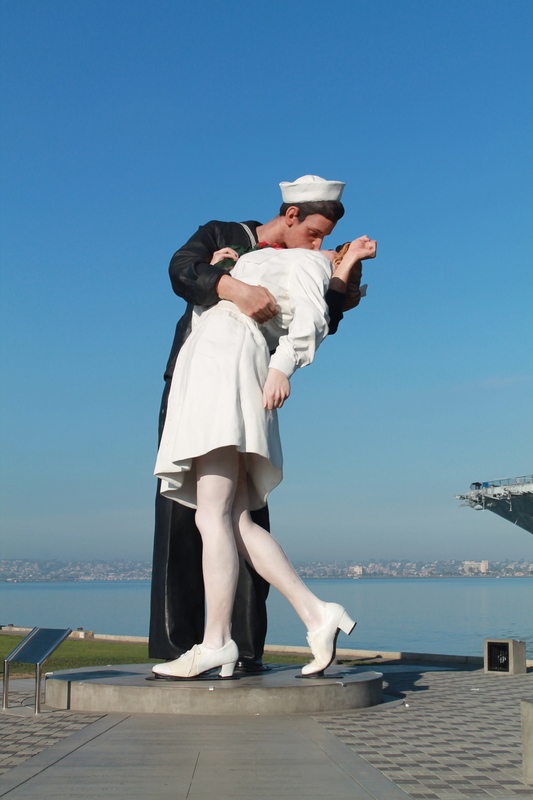 Next to that was the “Unconditional Surrender” statue. I’d heard about this, but not been to see it before. Heading back to the hotel, I went through part of downtown to see the buildings I’ve climbed in past stair races. 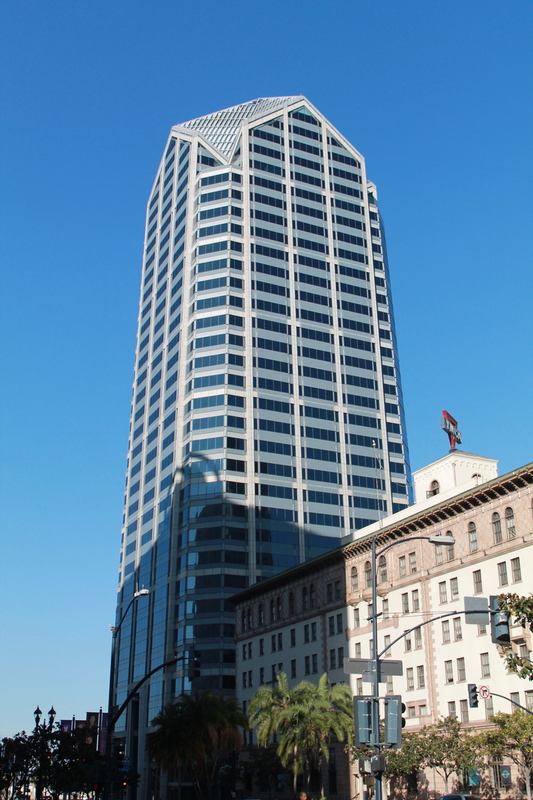 The One America Plaza building is the tallest in San Diego, and we all climbed it last March. 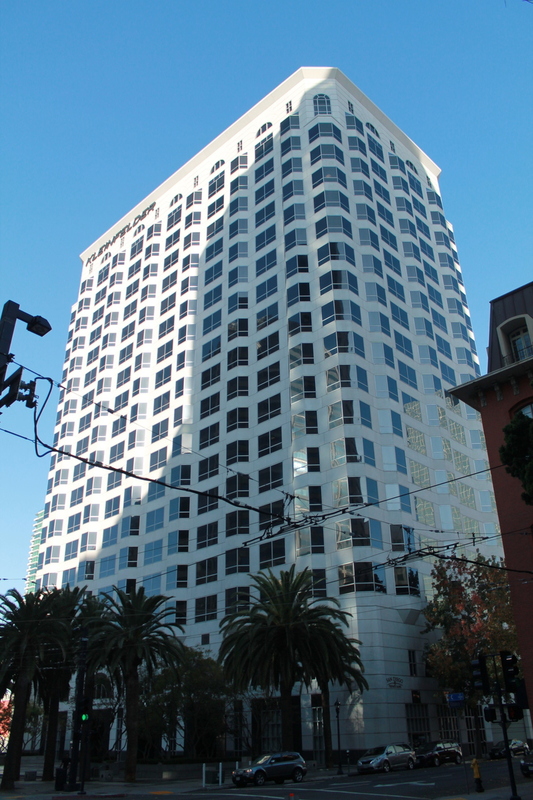 The 550 Corporate Center building is only 20 stories, but it was the location for the 2014 Towerthon. I climbed that building 20 times in two hours that day. 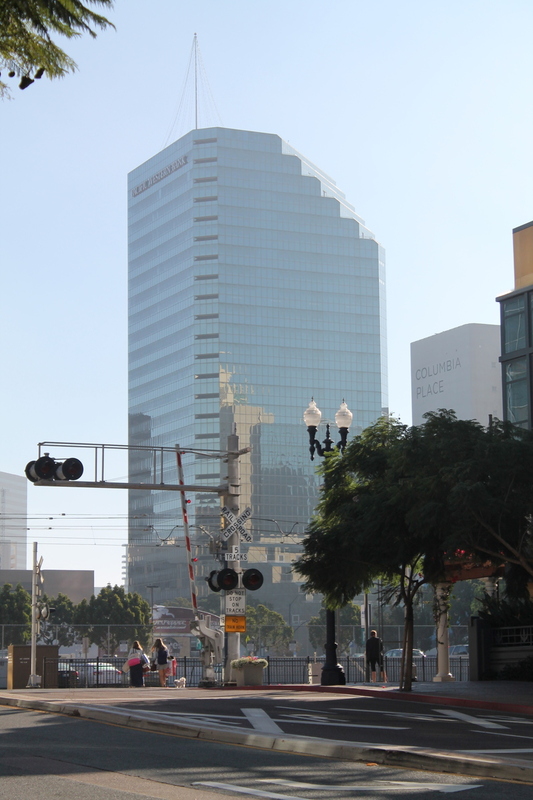 I walked through the San Diego Trolley station, where I saw the Orange and Green Line trains. Again, I think that San Diego MTS is channeling Magritte. 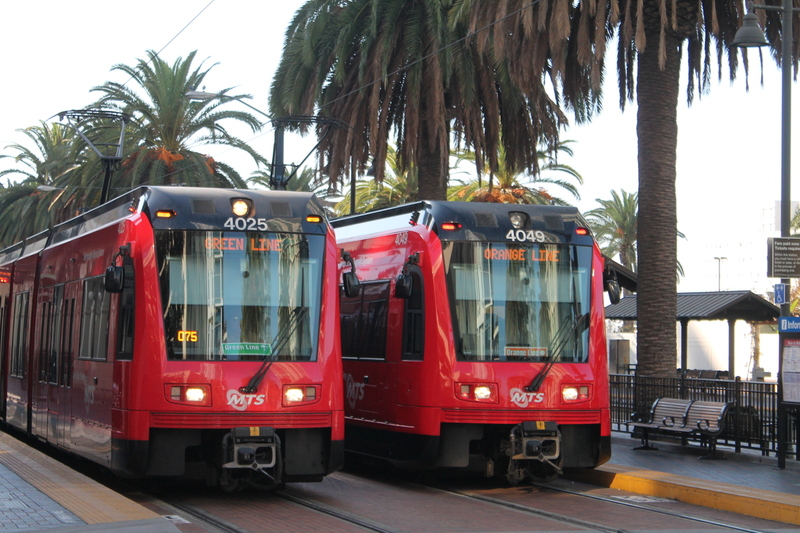 The trains say Orange and Green on them, but they are clearly Red. The last building I looked at was Columbia Center. This was the setting for the 2012 and 2013 Towerthon. Both times, I climbed the building 17 times in two hours. 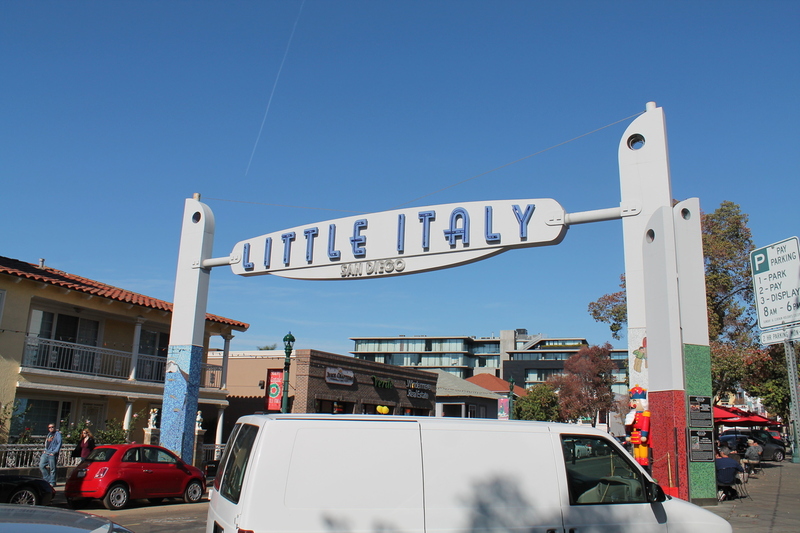 Back at the hotel, I got Lucinda up for breakfast, and afterward, we took a walk through Little Italy. They had a big farmer’s market going there. 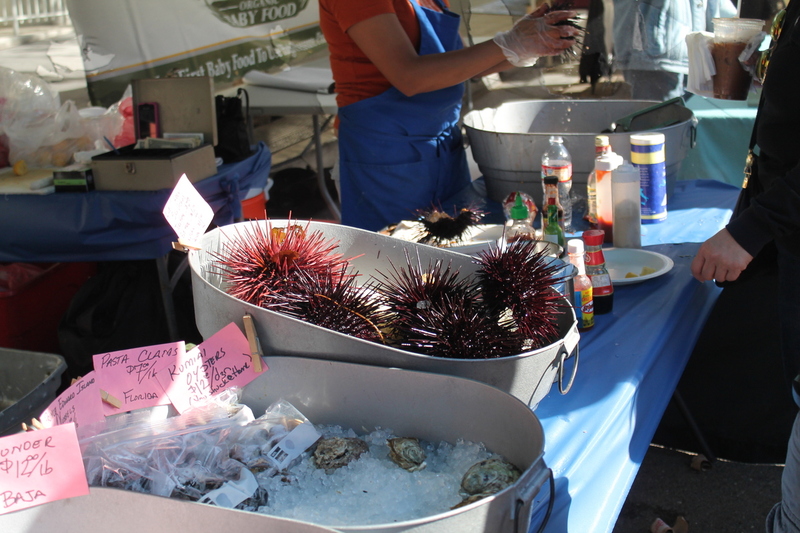 We got some fresh juices, looked around, and we were both a bit disturbed by the fresh sea urchins. 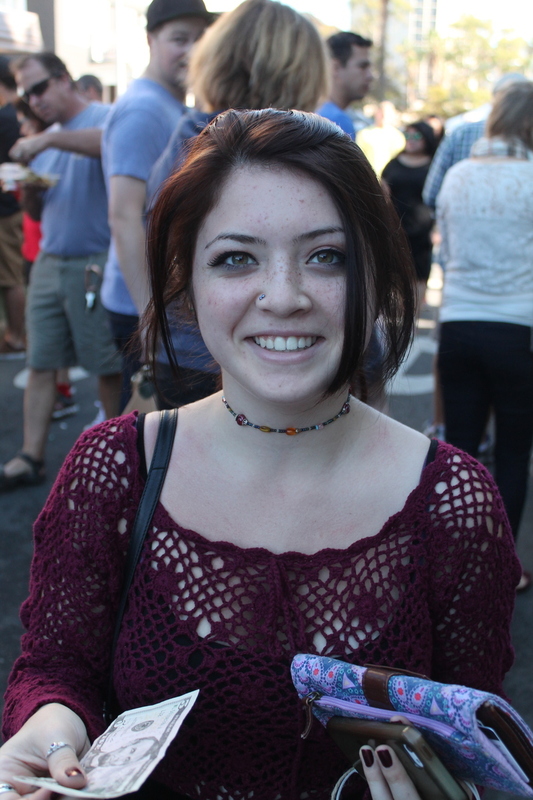 Still, it was a fun time. And afterward, we went to visit with Grandpa.